That han is one handsome devil. Day one purchase for me. You ever seen Likus' MOCs? Y'know, unfortunate as it's looking, I can't really tighten up the formatting of the images in that last post of mine - sorry if they're distorted. It would probably be ridiculously overpriced. 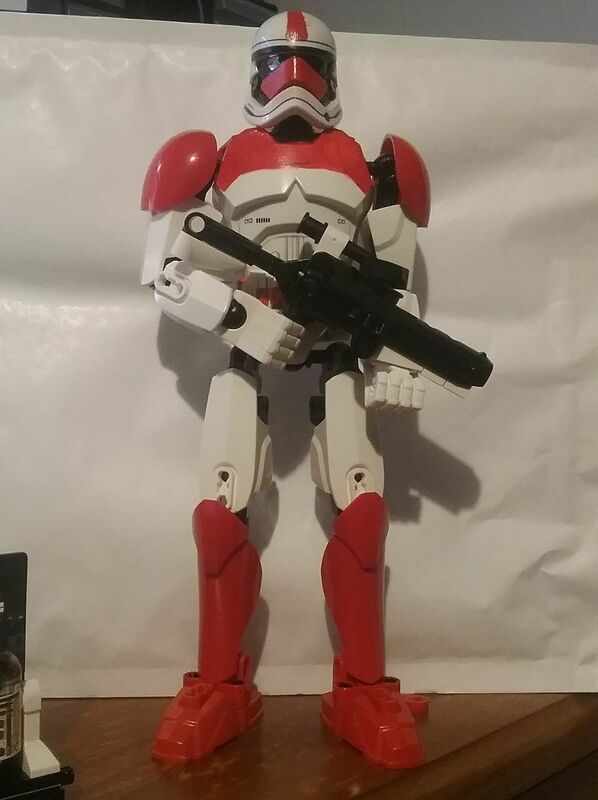 I'm buying the Range Trooper ASAP; not gonna lie, I might end up getting more than one after a bit. Han, y'know, I might get... once it's 75% off at Walmart. 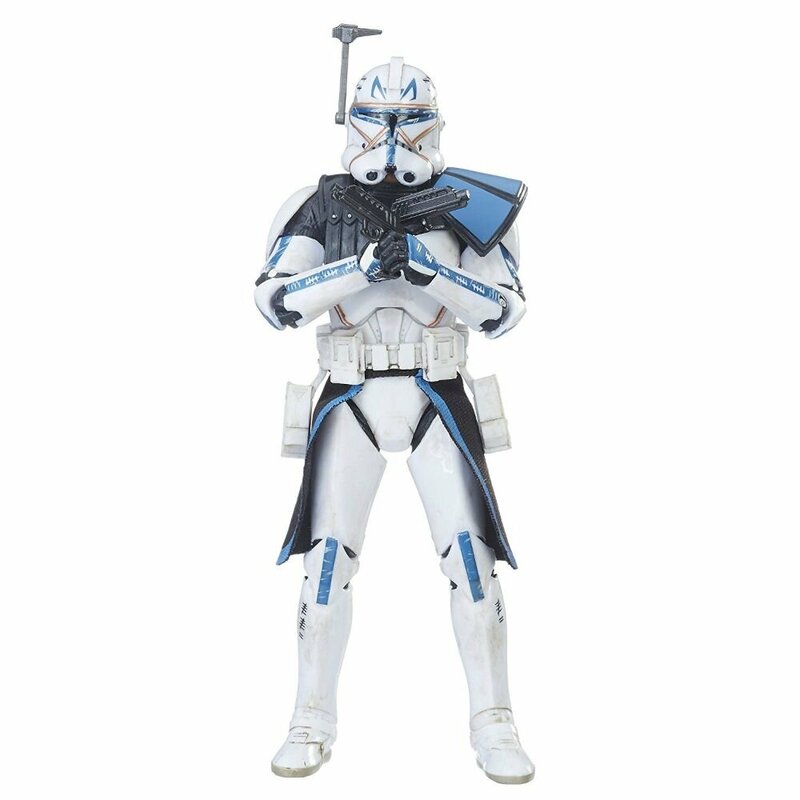 It would really look good with commander Cody. Heck I’d like to see more clone wars characters. Give us a basic skeleton for two figures, and have around 5-6 sets of armor/helmet molds/accessories to create different Clones. 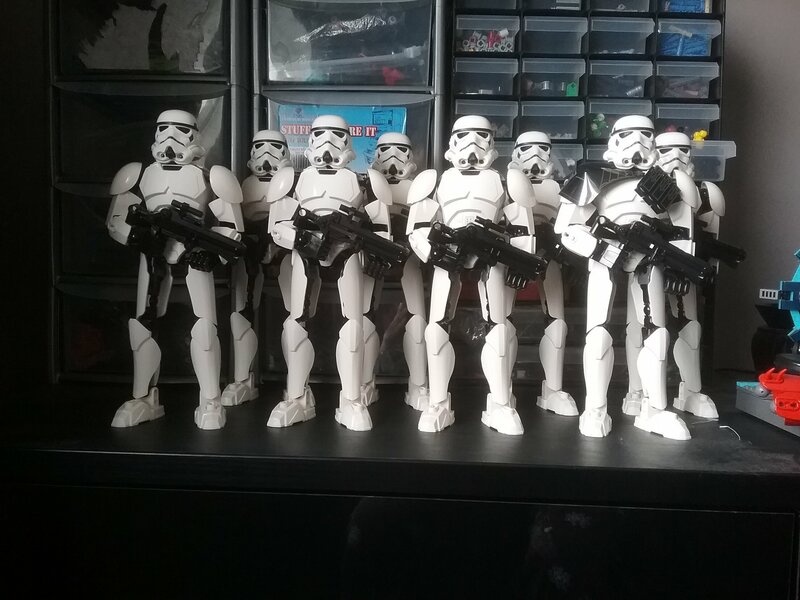 That's the 8th OT Stormtrooper now in my possession. very glad you got that many. 4 on each side of Vader. or 2 squads of the 4s you get with battle packs with one being a sergeant. still need to get one of them. Also, I found the Maul set today. So I grabbed it. on the bionicle 4chan discord, @exxtrooper posted an image of sw sets just selfwarmin' and to me, it seems concerning to say the least. problem is though, why have prices this high for a set with like 80 pieces at best - this is apparent with sets like chewbacca and I know there's a licensing fee, but that's too much. however I don't really see the theme going anywhere, especially with rumours about the theme potentially getting canned and two sets getting supposedly bricked. it is indeed concerning for new constraction lines that would use ccbs because retailers won't nor will be interested in having the same building system in their stores and losing money. but I don't really think this is the last staw for constraction, but let's wait and see. If you want another example of shelf warming, I found the 2015 Kylo Ren Figure at my local Target in March. I have grevious and Vader(took them apart tho). LOVE grevious. Vader... meh. I guess topic will go on hibernation soon. I've ramble this enough from other section, the recent Summer 2018 catalog just been released, while some sets such as the Ninjago Spinners (except one) and TLBM are mia, not even a single constraction figure is shown in the list. it is sad. poor poor ccbs. didnt deserve this. I feel ya. Let’s cross our fingers. Since this topic's been quiet for a while, figured I'd share this little thing I've had working in the background for a while now.